At Newport, we stay involved in IT, constantly monitoring the latest technology innovations, market activity and “who’s who”. Mobile development, programming languages, cloud computing, systems networks, analytics and data infrastructure—our IT executive recruiters know that no other industry has as many moving parts, making the need for accomplished, forward-thinking professionals critical to success. Our IT executive search team is involved in a number of regional and national technology organizations, giving them the tacit knowledge and deep-rooted networks necessary to deliver the right fit for your organization. 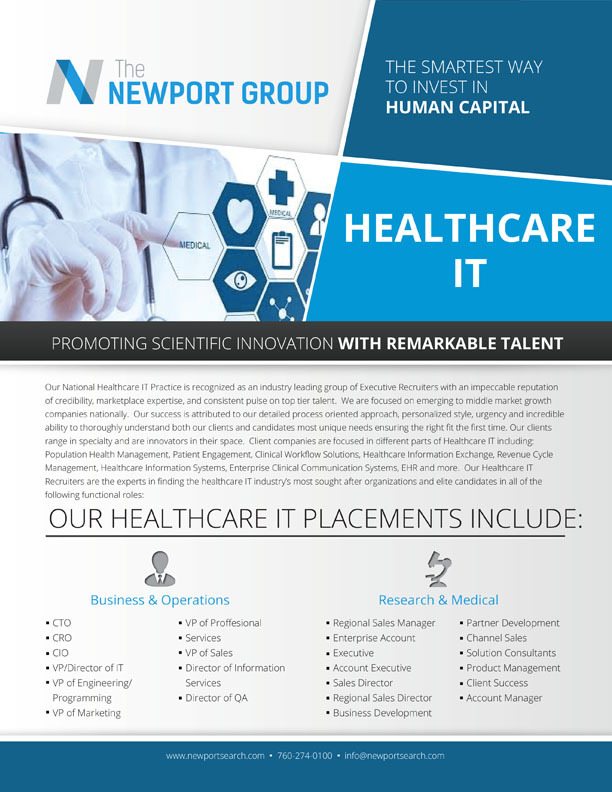 Whether you’re looking fore executive leadership or individual contributors, The Newport Group knows how to get the talent you need to increase productivity and your bottom line. 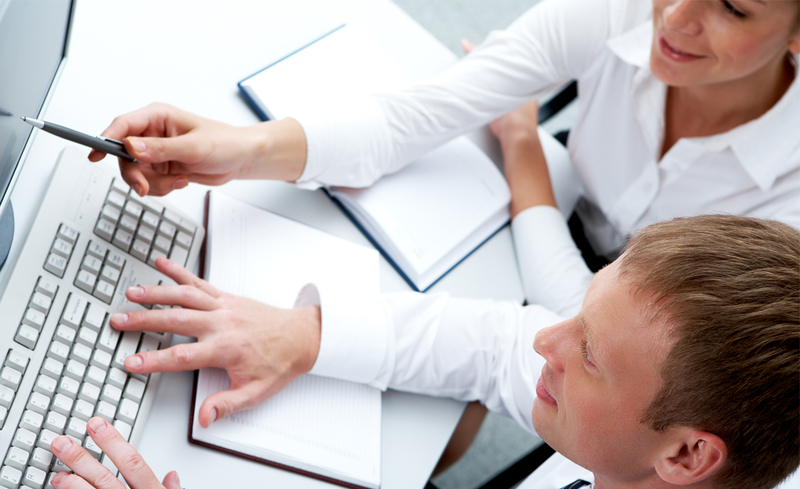 Learn more about the searches we have successfully filled for our technology clients, our unique style and process oriented approach that sets us apart from other search firms, The SMART Search Process™ by downloading our digital Information Technology Executive Search Overview. Click the button below or the image to download it now. 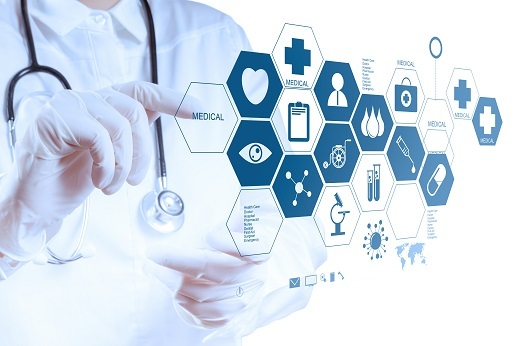 Contact us now to have our Healthcare IT Executive Recruiters connect you with the right opportunity.